It is widely accepted now that Christmas is coming up fast and it is no longer rude to mention the C word. For my online customers, this is a reminder that I ship all orders with standard AnPost service, the Irish postal service. If you want to get your order before Christmas make sure to order in time. Please remember these are latest order dates, the later you order the more risk you take to get your parcel after Christmas. And also I can’t guarantee these shipping times, if you need something safer or faster, please get in touch regarding express shipping. For the rest of the world: order by 3rd December. 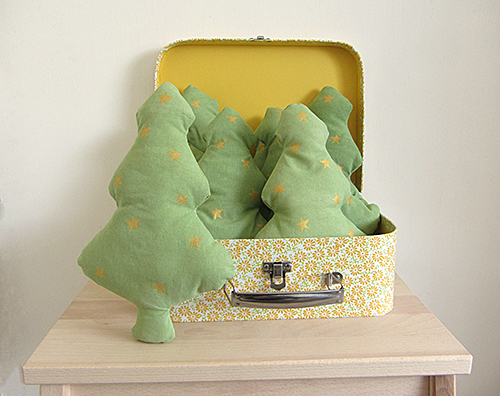 PS: If you’re wondering who are the cuties in the mini suitcase at the top of the post, these are my soft Christmas Trees, available in my shop.